MOSHIMOSHI NIPPON Ep. 04 | jibtv.com | Japan International Broadcasting Inc. The keyword of the day is A for Amezaiku. 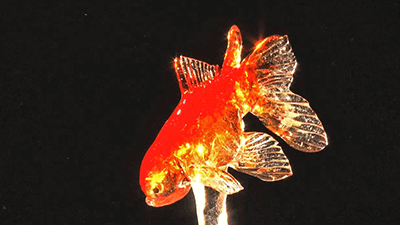 Amezaiku, the traditional Japanese art of candy sculpture, has more than 500 years of history. The beautiful candy sculpture is crafted with heated candy base (starchy syrup) in mere seconds before it cools and hardens. 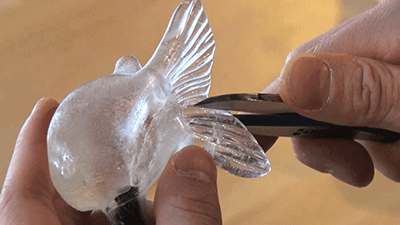 This edible art is sometimes crafted to entertain guests. 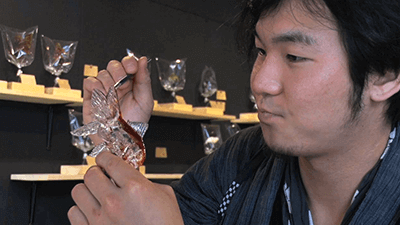 Shinri Tezuka, who works in Asakusa, Tokyo, is known as an Amezaiku artist who creates the one-and-only candy sculpture. Foo Choo Wei is a Singaporean and has been in Japan for 27 years. Her three favorite things about Japan are "onsen" "rakkyo (allium chinense)" and "Kawagoe-City". Kawagoe in Saitama is located near Tokyo, and is known as “Koedo (roughly translated as little Edo)”. There is a pickle shop Foo visits quite often in Kawagoe. Her favorite type of pickle is rakkyo. Today’s topic is SOUND. In Japan, people are surrounded by all kinds of sounds, whether in a city or a store. Sometimes, we even perceive noise as a sound. In this segment, we share our thoughts on our unique perception of sound.